Slightly altered review format this week: cutting more of the "review" aspects, leaving more commentary and information. 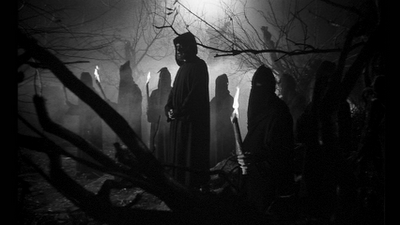 What it is: Black Sunday, also known as "The Mask of Satan." 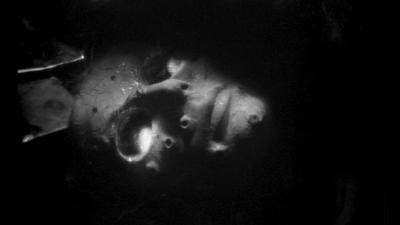 Black Sunday also has suitably creepy promotional art. Why you should watch it: It's the directorial debut of Mario Bava, one of the greats in the horror genre. 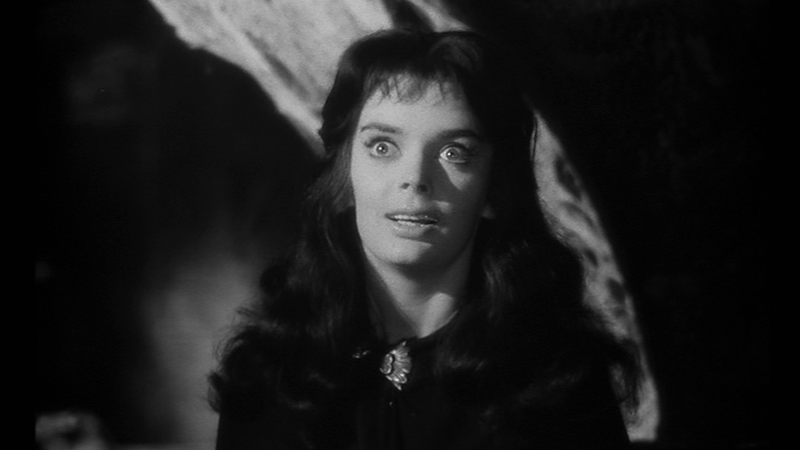 It's also the debut of Barbara Steele, a large-eyed actress who would go on to star in dozens of B-movie horror before making brief appearances in people inspired by her work: people like Jonathan Demme in Caged Heat, and David Cronenberg in 1975's Shivers. The witch's body mid re-animation. You Might Like it if: you like atmospheric, "gothic" fiction full of spooky castles and evil witches. It's full of really poorly maintained graveyards, eerie manservants, secret paintings, giant rubber bats, and everything else you might find in a Vincent Price movie. 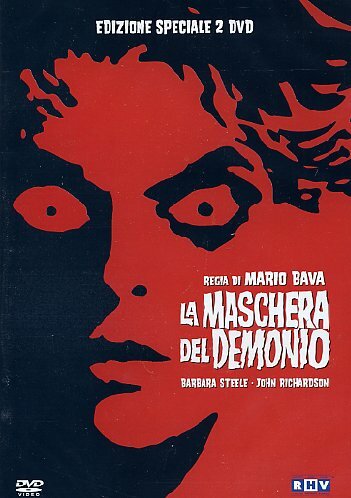 But unlike the more standard Hammer films of the era, Bava directs Sunday with a macabre, dreamlike quality that would define his work. It is genuinely spooky and suitably gruesome. Bava's style is often imitated, as the "witch burning" scene here gets duplicated repeatedly, and some of Burton's work, especially Sleepy Hollow, is noticeably influenced by films like "Black Sunday." This isn't a Hammer film, as it's Italian-produced and not in color, but it does share some aspects of Hammer's horror renaissance from the same period, so here's a link to a recent BBC documentary about the horror genre's rise from the grave, including an interview with Steele. Black Sunday appears in the doc around 20:30. Steele also talks about her work on Roger Corman's The Pit and the Pendulum later in the documentary. Hey where'd you guys get all those cloaks?